Eric serves as Chief Risk Officer for Antares Capital. He joined Antares Capital in April 2017 as Chief Administrative Officer and was appointed to his current role in March 2018, charged with overseeing Enterprise Risk Management. He is a member of the firm’s Executive Committee and Operating Committee. 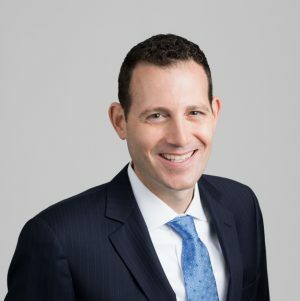 Prior to joining Antares Capital, Eric spent 18 years at Goldman Sachs where he was a Managing Director in the Merchant Banking Division, responsible for finance and administration functions of the division’s private investment funds. Prior to Goldman Sachs, Eric was a senior consultant at Ernst & Young in both the Transaction Advisory Services and Assurance Services Divisions. Eric serves on the Board of Directors of the Spondylitis Association of America. Eric graduated with a bachelor’s degree in accounting from Pennsylvania State University and earned a MBA from New York University’s Leonard N. Stern School of Business.